The narrator explains that he hasn't seen Crawford Tillinghast for some ten weeks and that when they last departed, Crawford was mad at the narrator and also in decent health. But time has passed and Crawford is requesting his attention. The narrator notes how skinny and sickly looking the man has become and recalls the night weeks ago when he told Crawford that his ideas were mad. However, Crawford was insistent that the machine he had created could empower someone to experience things beyond the typical senses. When the narrator arrives, the house is in total darkness and Crawford brings him to the attic where the machine is. He explains that the staff had left and that it was necessary to leave all electricity off except the machine. As Crawford turns it on, the narrator notes that his senses are indeed increasing and can see ultraviolet. However, Crawford becomes increasingly erratic. He warns the narrator to stand still and slowly it's clear that there are beings that surround them in this new sensory experience. Crawford explains that his servants actually had succumb to these beings and that it was his goal to have the narrator succumb to them as well because he didn't believe Crawford previously. Just as Crawford is explaining that there is a being "from beyond" behind the narrator, the narrator explains that he shot the gun and that Crawford died. However, though he was arrested for the death, it was later determined that apoplexy killed Crawford, for the narrator had shot at the machine. The confrontation with the mad scientist is always a good story to tell. It reminded me at times of the confrontation of Dr. Jekyll/Mr. Hyde with Dr. Lanyon since there was also an adversarial and friendship dynamic between them. 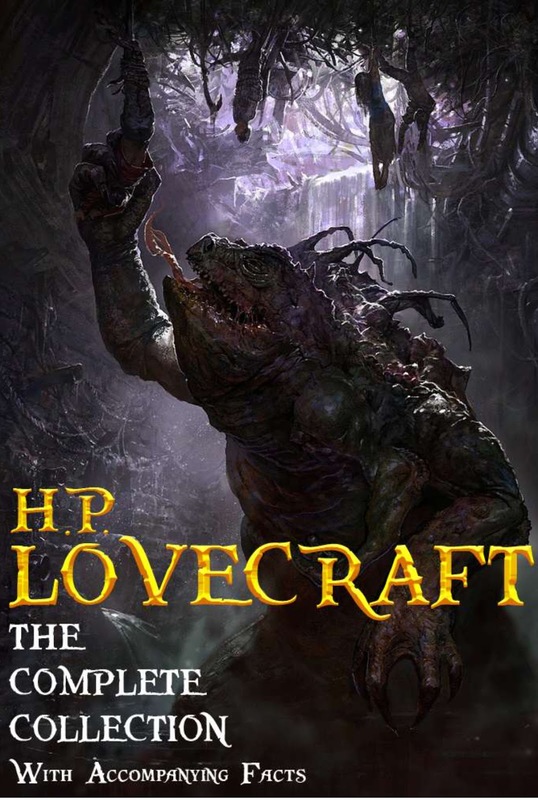 In typical Lovecraft fashion, it focused on the things we cannot see or know--beyond the veil--and hinted at but never delivered the full monster shot, which I like. I thought the gun shooting the machine--though smart for the narrator, still a little underplayed for the plot.